Have you had this experience after trying an “all natural” deodorant where you catch a whiff of yourself an hour after applying it and find yourself pressing your arms desperately to the torso while looking to bolt for a bathroom and shower in the sink? Well, this is not it. I got so fed up with natural deodorants and provisions I had to make in case they start failing me an hour into my shift, I just had to come up with something more reliable. 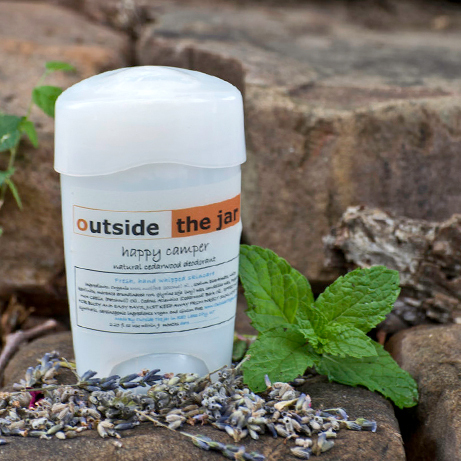 And here it is, a deodorant that will work for a full day of working, hiking, and mountain biking. It is a deodorant not an anti-perspirant so, while you will perspire, it will not smell anything like it. Honestly. It took me a few days to get used to it. It is best not to apply it immediately after shaving for it may burn. But you will get used to it and it works great. Send it back if it doesn’t. 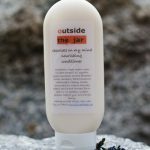 Ingredients: organic coconut butter, baking soda, arrowroot powder, kaolin clay, candelilla wax, lime essential oil.